Dr. Yoon Hee Choi can be said to have been born to practice pediatric medicine, as she is the third generation of pediatricians in her family. She is fluent in both Korean and English, having obtained her degree from the prestigious Korea University Medical School in Seoul but then doing her residency at St. Vincents Hospital and Medical Center in New York City, after which she joined a group practice in Seattle. 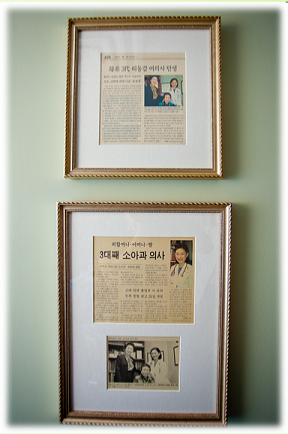 She had long wanted to serve the Korean community in northern New Jersey, however, so returned to New Jersey and opened her own practice in Fort Lee in 2004. A board certified pediatrician, Dr. Choi is currently on the staff of the Korean Medical Program at Holy Name Medical Center, and is also affiliated with Hackensack University Medical Center. She is married with two children, Caroline and Andrew.